Tiki glass is a type of glass which originated in the popular tiki bars which sprang up around California in the 1930`s and quickly spread across the rest of America. 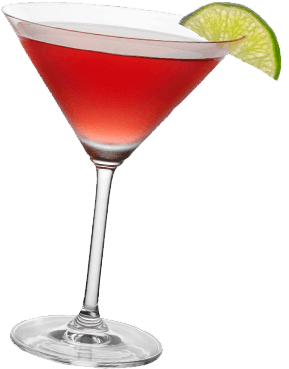 The tiki glass is the cocktail glass of choice for several tiki-style cocktails, such as the Bay Breeze, which is a popular mix of vodka, pineapple, cranberry, lemon and sugar syrup. 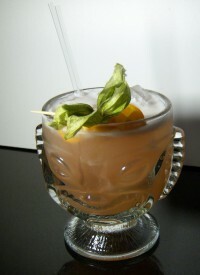 Tiki mugs, which are traditionally ceramic, are probably more synonymous with tiki culture than the tiki glass, but due to problems with the mugs being taken from cocktail bars, tiki glasses have become increasingly popular in the last few years. The tiki glass was essentially created as a way to further promote the tiki- culture, which was launched primarily by two bar and restaurant owners called Don the Beachcomer and Trader Vic. Both men set up exotic and novel island-themed restaurants in California in the 1930s, which quickly became hugely popular, particularly for their imaginative, fruity rum-based punches such as the Mai-Tai and the potent Zombie. The original tiki concept came from the humanoid figures that were created to worship certain gods in the Oceania region. Don and Travder Vic took their inspiration from this intriguing tiki imagery and culture. As well as the cocktails and punches, the tiki style restaurants were also famous for stuffed animals, bamboo sticks, hula girls with palm skirts and palm trees. As well as the tiki glass being used to serve the potent rum pinches, they also became associated with the elaborate garnish which accompanied these drinks, with plenty of paper umbrellas, large fruit garnishes and coloured straws present. 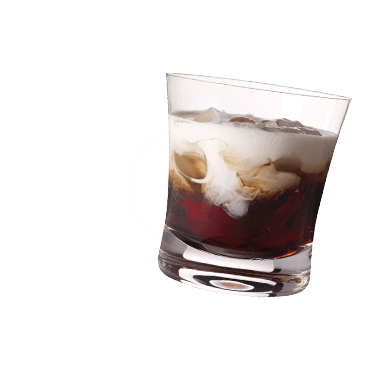 If you would like to furnish your bar or kitchen with an elaborate tiki glass there are many bar suppliers and on-line drinks stores which offer them at fairly reasonable prices plus you can even pick them up in fancy dress and party supply stores.